Artificial Intelligence (AI) and machine learning (ML) are currently some of the trending topics in the tech industry. Google wants to make AI and ML more accessible to more people by providing lessons, tutorials and hands-on exercises at all experience levels. 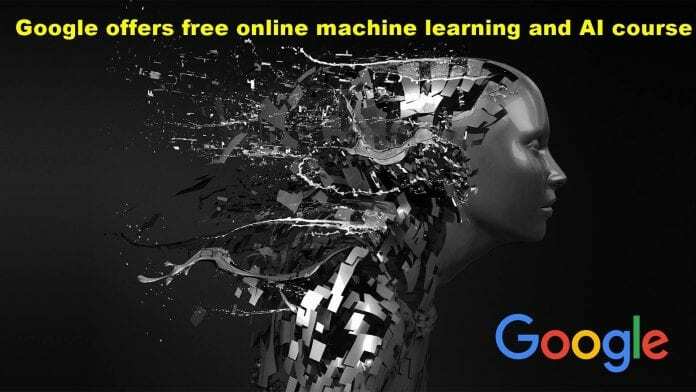 Therefore, Google India on Thursday (March 1) introduced a new website called “Learn with Google AI” that encourages everyone to understand how AI works, learn about core ML concepts, develop skills and apply AI to solve real-world challenging problems. These educational resources are developed by ML experts at the company and caters to everyone, from beginners to researchers looking for advanced tutorials. “We believe it’s important that the development of AI reflects as diverse a range of human perspectives and needs as possible. So, Google AI is making it easier for everyone to learn ML by providing a huge range of free, in-depth educational content,” Zuri Kemp, Programme Manager for Google’s machine learning education, said in a statement. “This is for everyone — from deep ML experts looking for advanced developer tutorials and materials, to curious people who are ready to try to learn what ML is in the first place,” Kemp added. “Learn with Google AI” also offers a free online course called the new Machine Learning Crash Course (MLCC), which features videos from ML experts at Google, interactive visualizations illustrating ML concepts, coding exercises using cutting-edge TensorFlow (TF) APIs, and A focus that teaches how practitioners implement ML in the real world. “Our engineering education team originally developed this fast-paced, practical introduction to machine learning fundamentals for Googlers. So far, more than 18,000 Googlers have enrolled in MLCC, applying lessons from the course to enhance camera calibration for Daydream devices, build virtual reality for Google Earth, and improve streaming quality at YouTube. MLCC’s success at Google inspired us to make it available to everyone,” added Kemp. The course’s duration is estimated at 15 hours, with interactive lessons, lectures from Google researchers, and over 40 exercises included. The course can be availed by newcomers as well as those who have no experience in ML. However, Google suggests that students should have proficiency at least in intro-level algebra, programming basics, and Python. “There’s more to come from Learn with Google AI, including additional courses and documentation. We’re excited to help everyone learn more about AI,” said Kemp. With the way the future is heading this should be something, we all teach our kids. I’m interested. I want to learn. I want to learn and its my dream sir how can i! you so dope!! We get it!! Awesome! I am so much grateful, interested and definitely i wanna go for it, though i’m so beginner on this future tech.